BOMBSHELL: German Guilt Diffusion Very Real. PEDAGOGIKA WSTYDU (Politics of Shame) in Overdrive. My review is based on the English-language edition. The number of people murdered by the Germans at Babyn Yar is in the 70,000—100,000 range (Vitaliy Nakhmanowicz, p. 94), a roughly subequal fraction of them Jews. The victims included Ukrainians, Russians, and Poles. (Vladyslav Hrynevych, p. 115). As far as the Jews were concerned, this was part of what became known as the Holocaust by Bullets, largely conducted by EINSATZGRUPPEN units. The controversies surrounding Babi Yar (Babyn Yar) have broad-based implications, and that is what I emphasize in my review. Vitaliy Nakhmanovych gives away the store as he writes, “The Jewish historical myth derives from the concept of a victim nation that has suffered unjustified persecution in all periods of history…In a strange way, this Jewish mythology has given a significant boost to modern-day German mythology about the Holocaust. Its emergence is entirely understandable from the standpoint of mass psychology. Clearly, public awareness cannot be saddled with a permanent historical-guilt complex for an extended period of time. One way of eradicating it is to REDISTRIBUTE BLAME FOR THE HOLOCAUST, which is OCCUPYING AN INCREASINGLY LARGER PLACE alongside the official position of acknowledging Germany’s responsibility for Nazi crimes. 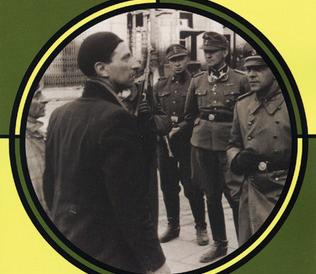 This new concept is based on two methods: (1) PUSHING INTO THE BACKGROUND the Nazi Reich’s leading role in carrying out the Holocaust that took place in the occupied territories; and (2) SHIFTING THE MAIN BLAME FOR ANTI-JEWISH CRIMES on Ukrainian, Lithuanian, and other police subunits as well as armed nationalist formations.” (p. 297; Emphasis added). So there you have it, in plain language. Let us now examine some tactics of this political blame game. Vladyslav Hrynevycz comments, “Western Europe, which rests on the ideological heritage of enlightenment and humanism and the experience of World War II, set out to create a new culture of memory. 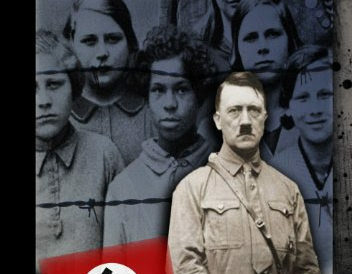 The Nazi destruction of the Jews, who lived in practically every country in Europe and comprised a significant proportion of these countries’ societies, was recognized as a tragedy of ALL the European people. At the same time, this perception included A SENSE OF BLAME, as part of the population of BOTH AGGRESSOR-COUNTRIES AND VICTIM-COUNTRIES WAS IMPLICATED IN THIS CRIME, having contributed to one of the MOST SHAMEFUL pages in European history. 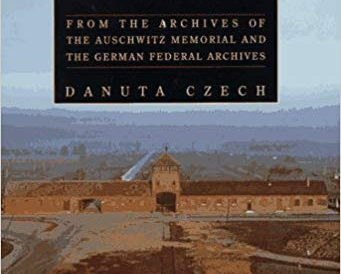 These ideas determined the CENTRALITY OF THE HOLOCAUST as a SYMBOL in the historical memory of Western Europe, an important element of whose culture became REPENTANCE.” (p. 146; Emphasis added). Notice the Orwellian redefinition of victims so that the nations conquered by Nazi Germany become “not really victims”, and Jews become really the only victims that “count”. Better yet, the “victim countries”, insofar as they are victims at all, now find themselves on the same side as the “aggressor-countries”! Note also the Orwellian redefinition of the Holocaust into a perpetual all-European liability instead of what it really is—a perpetual German-Austrian liability. To top it all off, the Holocaust is crowned with all kinds of superlatives (“centrality”, “symbol in the historical memory”), bestowed on no other genocide, and rather typical of the iconization and mystification of the Holocaust. In addition, the phraseology surrounding the Shoah is engorged with the PEDAGOGIKA WSTYDU (“a sense of blame”, “most shameful”), never said of any other genocide. Finally, notice the Orwellian wrapping of this entire policy in the mantle of age-old European “enlightenment” and “humanism”. The Polish reader will find the following statements of Vitaliy Nakhmanovych, relative to Ukrainians and Babyn Yar, all too familiar, “A considerable number of Jewish activists in both Ukraine and other countries hold the view that it is inappropriate to build an Avenue of the Righteous. During the public discussions they have insisted that honoring the Righteous cannot precede the worthy commemoration of the victims (they regard existing memorials, including the Menorah Monument, as inadequate to the scope of the Jewish tragedy). In private conversations they claim that honoring the Righteous will detract attention from those individuals who had a direct role in destroying the Jews or who denounced them to the Germans. THE SACRIFICIAL MODEL OF JEWISH MEMORY THAT THEY ESPOUSE DEMANDS THAT OTHER NATIONS MUST CONTINUOUSLY ATONE FOR THEIR INVOLVEMENT IN THE HOLOCAUST.” (p. 305; Emphasis added). The latter is priceless! It is the PEDAGOGIKA WSTYDU in its purest and sincerest form. What’s more, not only isn’t the atonement ever over; it isn’t ever supposed to be over. It is identity politics and grievance politics honed to perfection. Exactly the same canned Holocaustspeak complaining is done to Poland. For example, we hear that a proposed Monument to Righteous Gentiles in Warsaw would misleadingly credit all of Poland for rescuing Jews and, worse yet, it is a an attempt to cover up (what else?) Polish anti-Semitism and the WWII Polish denunciations of fugitive Jews. We are sometimes informed that only Holocaust specialists are qualified to evaluate the Holocaust. I beg pardon: “Qualified” thinkers can be just as biased as “unqualified” thinkers. Vitaliy Nakhmanowicz recognizes as much as he writes, “Because these questions are objects of both scholarly interest and public discussion, they have become the topics of considerable speculation and falsification. At the same time, scholarly studies have no impact on people who, for extra-scholarly or pseudo-scholarly reasons, prefer to cling to a certain myth. HISTORIANS ARE ALSO HOSTAGES TO THEIR CONVICTIONS, which influence the choice of research topic, the selection of historical facts, the treatment of historical events, and, as a result, the formation of ideologemes.” (p. 69; Emphasis added). No kidding! In view of the fact that arguably most historians are leftist and Judeocentric, this takes on further significance. Vitaliy Nakhmanovych comments, “Jews, who have always been the natural and recognized guardians of the memory of Babyn Yar, consistently seek to ‘appropriate’ Babyn Yar as a physical place of memory…The problem lies in the fundamentally different views of the very symbolism of Babyn Yar. The Jewish community and the world beyond Ukraine view Babyn Yar as EXCLUSIVELY a symbol of the Holocaust, whereas for Ukraine it is a symbol of many tragedies that took place during the Nazi occupation.” (p. 311; Emphasis added). Déjà vu. The same victimhood competition had occurred, between Jews and Poles, over Auschwitz, with the world coming to agree with the Jewish position on Auschwitz just as it now does with the Jewish position on Babyn Yar. However, there were essential differences between Auschwitz and Babyn Yar. We were reminded that the overwhelming majority of the victims of Auschwitz-Birkenau had been Jewish and that it was the largest Jewish cemetery in the world (with 1 million Jewish victims). What’s more, the Carmelite Convent and crosses were painful reminders of past Christian persecutions of Jews, and, worse yet, they had “Christianized” this Jewish ground. None of the foregoing is true of Babyn Yar. But what does it matter? 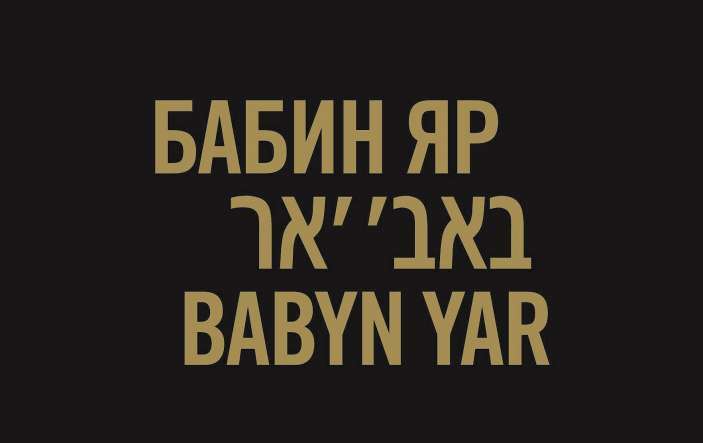 Babyn Yar still gets appropriated as an exclusive symbol of the Jews’ Holocaust. The average reader is probably familiar with this topic from the generations-old classroom-used MAUS. There is the scene of the Pole—portrayed as the villain–hanging a victim-Jew merely for wanting his former property back. No scale or context is provided. As long as it promotes the standard Holocaust narrative, it is fine: If it is prejudicial against Poles, then that’s just too bad. In contrast, Vladyslaw Hrynevych provides the much-needed context, in a comparable Ukrainian setting, as he writes, “After the war a significant part of Kyiv lay in ruins, and there was a dire lack of suitable housing. A considerable number of homes that were owned by Jews before the war had been looted by their neighbors and now had new owners, who based their right of occupation of these premises on the fact that they had ‘survived the occupation here.’ [Reviewer’s Note: a form of squatter’s rights]. Attempts by Jews to regain their houses, after all they had gone through the war, often led to conflicts.” (p. 115). In the West, travelling exhibits of MATZEVOT (gravestones) often lead the viewer into the erroneous impression that only the Jews were victims of cemetery desecration and cemetery reuse. This was far from the case. Author Vitaliy Nakhmanovych thus describes the rebuilding in aftermath of the tragic Kurenivka mudslide (March 13, 1961) at Babyn Yar, “In subsequent decades new streets were laid across the filled-in ravine, and the adjacent cemeteries—Jewish, Orthodox Christian, Karaite, and Muslim—were closed, destroyed, and built over to a large decree.” (p. 293).